The Kill Devil Hills area ranks among the most popular vacation destinations in the country. Unfortunately, the heavy traffic drawn to the area each year – especially during the summer months – can result in a high number of car crashes and other accidents. Whether you are a visitor or a year-round resident of the Outer Banks you can turn to the personal injury lawyers of Glover Law Firm to protect your rights and treat you with the professionalism and courtesy you deserve. We have 20+ years of experience serving accident victims and their families throughout the region. Drawing on that background helps us to understand the unique issues that often arise in Kill Devil Hills accident cases such as drunk driving, distracted driving, speeding, bicyclist and pedestrian injuries and the involvement of out-of-state drivers. The fact that many of our clients are either from out-of-state or were injured by people living in other jurisdictions requires careful advance planning, especially in the beginning stages of legal representation for accident cases. Attention to detail is important in gather evidence in accident cases. We don’t like to delay in preparing the claim for injuries or damages the result from an OBX car accident. 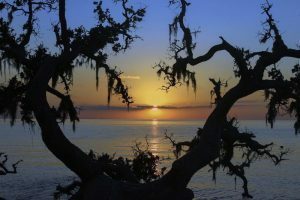 Memories fade, witnesses become difficult to location, and Outer Banks accident scenes change with the passage of time. Let our law office put that knowledge to work for you. It helps to have a local OBX lawyer, a personal injury lawyer in Dare County NC who can easily travel to the scene, take witness statements, and serve as your accident attorney in North Carolina. If you or a family member has been harmed through no fault of your own, Glover Law Firm will provide you with a free consultation about your case. Get started by calling us today or completing our online form. At Glover Law Firm, we realize that recovering from an accident can be expensive. An accident victim may face costs associated with vehicle repair or replacement and medical treatment. The victim may also be unable to work because of an injury. We are dedicated to recovering compensation for these losses and more. The personal injury lawyers of Glover Law Firm have been seeking justice for accident victims throughout northeastern North Carolina since 1981. We have secured some of the largest verdicts and settlements in the region’s history and have earned a statewide reputation for being leaders in the law. Attorney Danny Glover has been selected the past several years as a North Carolina Super Lawyer and was granted membership to the Million Dollar Advocates Forum. He currently serves as President-Elect of the state’s largest organization of trial lawyers, the N.C. Advocates for Justice. We are ready to get to work for you. Simply call us today or contact us online for a free consultation about your case. If we represent you, we will charge no fees for our services unless we secure a recovery on your behalf. Dare County, North Carolina is the home of Kill Devil Hills NC. It’s a small north-eastern North Carolina town during most of the year, with only about 6,700 permanent residents. Part of the “Outer Banks” North Carolina vacation hotspots, Kill Devil Hills is a wonderful place to visit and vacation. If you’ve never personally visited the Outer Banks, you may still be familiar with two famous “tourists” from Ohio: Orville and Wilbur Wright. 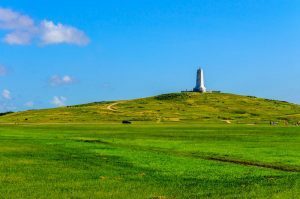 Kill Devil Hills NC is the home of the Wright Brothers National Memorial. Back in 1903 (December 17, 1903 to be exact) the Wright Brothers flew their “Wright Flyer” and made history by being the first engine-powered, controlled aircraft in the world. The town of Kill Devil Hills NC didn’t exist at the time of the historic 1903 flight. Indeed, Kitty Hawk NC isn’t actually the site where the brothers flew their aircraft. Kitty Hawk sits about 4 miles north of the famous sandy hills where the Wright Flyer first took area and was the closet town at the time. If you Googled, “Lawyers Near Me Kitty Hawk NC” or “Lawyers in Kill Devil Hills NC,” we’ve got you covered. Give Danny Glover a call now at: (252) 299-5300.